Herbs Can Cleanse is pleased to announce we’re carrying a new line of skin care products! These great products are from Moon Valley Organics, a company that supports organic farmers. For over 20 years they’ve been creating amazing body care products that are as good for the planet as they are for you! As of today, we’re carrying five new cleansing body bars from Moon Valley Organics: Lavender Calendula, Mint & Sea Mineral , Oatmeal Sage, Orange Spice and Cocoa Butter Comfrey. These cleansing bars are made of all organic ingredients and are cruelty free. Starting today you can order by phone, and within a few weeks we’ll have these new products on our website! We are excited about working with our new vendor as well as taking your pre-orders for these wonderful cleansing bars! Give us a call at 1-877-437-2741 today to order. Did you know the vendors we work with at Herbs Can Cleanse are carefully chosen? We choose based on a product line and a Mission and Vision that is consistent with our own. Our mission is to provide information and products to help educate and heal our customers. In Nature’s Way, we certainly found a compatible partner! Nature’s Way, founded in 1969, came from the founder’s need to find alternative ways to heal his wife. When conventional medicine failed them, they turned to the healing power of plants. As a result, the founders wife improved and she lived another 25 years. When Nature’s Way adds a product to their product line, you can be sure that it has been tested for both safety and product effectiveness. Many of their products are based on ingredients that have historically present in the herbal apothecary, but they also strive to strake a balance between tradition and modern science. When you use Nature’s Way products, you know you are using products that are based in the robust traditional knowledge of plant healing and are also backed by science. Nature’s Way values inclusivity, integrity, wisdom, and authenticity. Their inclusive approach means you can find products based in the historical knowledge of Ayurveda as well as the knowledge of American indigenous peoples. They value the wisdom that history brings to the herbal apothecary, and their integrity means the products you take have been thoroughly tested beyond industry standards! Visit Herbs Can Cleanse at HerbsCanCleanse.com to see all of our product lines, including some of the finest herbs from Nature’s Way to cleanse and purify your physical self! Veganism is a way of living that attempts to exclude all forms of animal exploitation and cruelty. This includes food, clothing, or any other use (for example, testing cosmetic products). A vegan diet is entirely plant-based, excluding all animal products. There are a variety of reasons people choose a vegan diet, ranging from political to health related. Whole-food vegan diet: A diet based on a wide variety of whole plant foods such as fruits, vegetables, whole grains, legumes, nuts and seeds. Raw-food vegan diet: A vegan diet based on raw fruits, vegetables, nuts, seeds or plant foods cooked at temperatures below 118°F (48°C) (1). 80/10/10: The 80/10/10 diet is a raw-food vegan diet that limits fat-rich plants such as nuts and avocados and relies mainly on raw fruits and soft greens instead. Also referred to as the low-fat, raw-food vegan diet or fruitarian diet. Raw till 4: A low-fat vegan diet inspired by the 80/10/10 and starch solution. Raw foods are consumed until 4 p.m., with the option of a cooked plant-based meal for dinner. The thrive diet: The thrive diet is a raw-food vegan diet. Followers eat plant-based, whole foods that are raw or minimally cooked at low temperatures. Which might be right for you? Most start off slowly by, for example, eating vegan one or two days of the week, or even one or two meals a week! If you have a picky family, this provides an opportunity for your picky eaters to get used to the changes and gives you an opportunity to find things they like before you make a more complete change. Eating vegan may help you maintain a healthy heart, lose weight, and help moderate blood sugar. Vegans find it easier to get many different nutrients (but, remember that there are certain nutrients such B-12). There is also evidence that shows eating vegan may be related to reduced incidence of certain cancers! You’ve probably seen tea tree oil in many products. What exactly is tea tree oil? This essential oil, made from the leaves of the Australian tree Melaleuca alternifolia, has many practical uses! Tea Tree essential oil has become extremely popular for its natural anti-fungal and anti-septic properties. Acne: dilute a few drops of tea tree oil with your favorite carrier oil (such as jojoba oil or sweet almond oil), and apply a small amount to irritated areas twice daily. As a face mask: Mix equal parts healing clay and apple cider vinegar or water with 3-4 drops of tea tree oil. Apply carefully to your face and allow it to rest for about 15 minutes, perhaps while you soak in a relaxing bath! Tea tree oil can also be used in oral care! Add a few drops to warm water to make your own refreshing mouthwash. Or, for a natural – and very simple – toothpaste, mix equal amounts of coconut oil and baking soda with a few drops of tea tree oil, and brush! Toe or finger nails: Apply directly (don’t dilute) to fingernails or toenails to help fight fungus and discoloration. Beyond body care, you can use tea tree oil around the house! Try combining 2 teaspoons of tea tree oil with 2 cups of water in a spray bottle. This combination can be effective at cleaning various surfaces without lingering streaks, smudges, or harmful chemicals. Try it in the bathroom to sanitize and freshen! HerbsCanCleanse.com carries high quality essential oils, including Plantlife’s fine tea tree oil! Visit https://herbscancleanse.com/product-category/skin-body-care/plantlife/essential-oils-plantlife/. Our prices our competitive, and you receive quick shipping and personal service! Dietary fiber – found in fruits, vegetables, whole grains, and legumes – is probably best known for its ability to prevent or relieve constipation. But getting a healthy amount of fiber provides many other health benefits as well. Soluble fiber dissolves in water and forms a gel-like material. This fiber can help lower blood cholesterol and blood glucose levels. You’ll find soluble fiber in oats, peas, beans, apples, citrus, carrots, barley, and psyllium. Insoluble fiber promotes the movement of matter through your digestive system and increases stool bulk. If you suffer constipation or irregular stools you’ve probably used this kind of fiber. Whole wheat flour, nuts, beans and vegetables (such as cauliflower, green beans, etc.) are good sources of insoluble fiber. The amount of these fibers varies between plant foods, so be sure to eat a variety. Normalized bowel movements. Dietary fiber increases the weight and size of your stool, and also softens it. Bulky stool is easier to pass, decreasing your chance of constipation. This fiber also helps solidify loose stool. Helps maintain bowel health. High fiber diets may lower your risk of developing hemorrhoids and diverticular disease. Studies have also found that high fiber diets lower the risk of colorectal cancer! Lowers cholesterol levels. Soluble fiber may help lower total blood cholesterol levels by lowering the low density lipoprotein (aka “bad”) cholesterol levels. High fiber foods may also have other heart health benefits, such as reducing blood pressure and inflammation. Helps control blood sugar. Soluble fiber can slow the absorption of sugar and help improve blood sugar levels. Increasing insoluble fiber may also reduce the risk of developing type 2 diabetes. Helps achieve healthy weight. High fiber foods fill you up, and help you eat less and stay satisfied longer. Also, high fiber foods tend to have fewer calories for the same volume than other foods. Helps you live longer. Increasing dietary fiber intake – especially cereal fiber – is associated with a reduced risk of dying from cardiovascular disease and all cancers. Current recommendations are for men to consume over 30 grams of fiber daily and women to consume over 20 grams of fiber daily. As you move into a plant based diet meeting these requirements becomes easier. But you can also include a supplement! If you are intimidated by trying to include this much fiber in your daily diet, give Jarro Formulas Gentle Fibers formula a try! This high quality formula includes both soluble and insoluble fiber plus plant antioxidants. Visit https://herbscancleanse.com/product-category/internal-cleansing/jarrow-formulas/ and see if this formula is right for you! Turmeric is trending! This root and its most active compound curcumin have many scientifically proven health benefits. It has the potential to prevent heart disease, Alzheimer’s, and cancer! 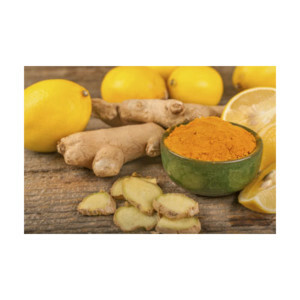 Many use turmeric because of its potent properties as an anti-inflammatory and antioxidant. This powerful root may also improve symptoms of depression and arthritis. Grate turmeric root into stews and soups, especially those containing root vegetables. If you add pepper and cumin you begin to get a flavor similar to Indian curries. Add turmeric root to rice (or other whole grains) before cooking. Both flavor and color will impress and excite! For rice, cook in broth and add raisins and you’ve got something close to a pilaf. Add a small chunk to your smoothie! Blend it in, and enjoy. Drink turmeric tea. Simmer grated turmeric and ginger in hot water for several minutes. Stir in a bit of honey and enjoy. Bowel health is an important topic because changes in your body’s regularity can be a sign of changing health. But before you begin to worry it’s important to know what regularity is for you. There can be a fairly broad range in when you have a bowel movement and this can still be normal. You can have a bowel movement anywhere from one to three times a day (highest frequency) or three times a week (lowest frequency) and this can be considered normal. So, thinking back, where do you fit in with this? Other factors include fasting, eating lighter meals, etc. What comes out of your body relates to what comes in! If your frequency is consistent, and within this range, you are probably experiencing healthy elimination. After thinking about your patterns, you can begin to understand when you might be constipated. If your stool is dry and hard, and also difficult to pass, then you may be constipated (especially if you tend to go three days or more without moving your bowels). A variety of circumstances can cause constipation. For example, when you travel, become pregnant, are dieting, or lack physical exercise you may experience constipation. Overall, to promote healthy elimination, it’s important to eat plenty of fiber (a general recommendation is 34 grams of fiber per day for adult men and 28 grams of fiber per day for adult women, but speak with your health care professional about what’s right for you), cut back on refined and sugary foods, and drink more water. If you tend towards constipation, you may need treatment that’s a little more focused on rebalancing your digestive system. At HerbsCanCleanse.com our cornerstone product is the Pure Body Institute Whole Body & Colon Program. 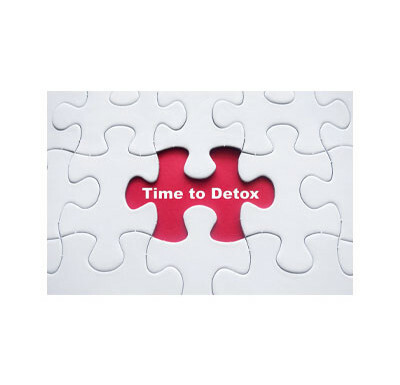 This carefully constructed program supports your body’s digestive health with herbs understood to help your body release toxins and eliminate what the body doesn’t need with ease. Visit http://herbscancleanse.com/product-category/pure-body-institute/ to learn more and purchase! In our last blog, featuring Pure Body Institute’s Liver Balance Plus supplement (based on traditional Chinese Medicine), we discussed some of the liver’s 500 functions. In addition to breaking down sugars and helping you maintain a healthy blood sugar level and removing toxins from the body, the liver performs a number of other important functions. When you are an infant, your liver performs the important function of producing blood cells. As you grow into adulthood the liver recycles your blood, breaking down old or damaged blood cells and storing the iron and vitamins to use when needed. The liver also is essential in releasing the plasma proteins necessary to clot blood. So, healthy blood flow depends upon a healthy liver! Your liver is also a fat factory of sorts. The liver breaks down fats that are eaten, converting excess carbohydrates and protein into forms that are stored for later use. The liver synthesizes other fats, like cholesterol. If you drink alcohol or consume excess fat, the liver works hard to process it all but sometimes grows fatigued! Central to this processing of fats is the bile the liver produces, which is held in the gallbladder and released into the digestive tract as needed. The bile helps break down and absorb those fats, while also removing waste and toxins. Our livers may need support after times of overindulgence or when your digestion shows signs of being sluggish. Try one of our liver support supplements to keep this workhorse in tip top condition! Herbs Can Cleanse carries only the best health care supplements. Combined with a good diet, proper rest and exercise, you can have a healthy life! For your liver, especially as the holiday season (and the over indulgences that come with it) consider supporting your liver with Liver Detox, made by Health Plus Inc. Visit http://herbscancleanse.com/product-category/internal-cleansing/liver-kidney-colon/liver/ to order this product, then look around at everything else we carry! Enjoy free shipping by entering code HCCSHIPFREE at check out. Often called the workhorse of the digestive system, the liver performs 500 functions that help to keep your body healthy! Your liver, with an average weight of more than 3 pounds, is about the size of a football. Behind your skin, it’s your body’s second largest organ. 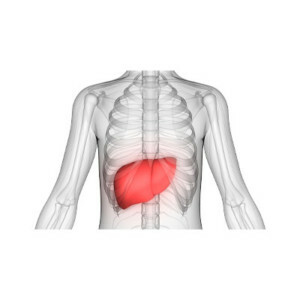 Your liver is in the upper right abdomen under the ribs and below the diaphragm. It holds up to 13% of your blood supply, and is a star player in your digestive system! Your liver performs over 500 tasks to help keep you healthy. Key to these functions are those that are metabolic. Anything that is taken by mouth gets filtered by the liver. Anything you digest by the stomach and intestine gets absorbed into the blood and then goes to the liver. The liver removes toxins from the body through the urine or stool, stores and then releases nutrients when necessary. Your liver also works to keep the amount of sugar in the bloodstream constant. When the liver processes your food, it removes sugar and stores it as glycogen. Then, when your blood sugar decreases, the liver converts glycogen to glucose and releases it into the bloodstream where it energizes your body. There are many more important and interesting liver functions, some of which we’ll discuss in a future blog. But, with all the liver does, is it any surprise it can become fatigued? As well, in Chinese Medicine it is understood that your emotions are linked to your liver. When your liver’s load is too great, the emotions tend to run hot. Waste not excreted from your body may well irritate your emotions! So, ask yourself if your moods dominate your day. Do you get headaches or reoccurring muscle and joint pain? Are you irritable? Do you run out of energy during the day, or have trouble concentrating? These symptoms (and many others) may indicate a poorly functioning liver. Doesn’t it make sense to support this special organ? Pure Body Institute, the creators of many quality supplements, has a liver supplement based on ancient Chinese Medicine formulas called Liver Balance Plus. Visit Herbs Can Cleanse at http://herbscancleanse.com/product-category/internal-cleansing/liver-kidney-colon/liver/ to view this supplement and read more about the symptoms of a poorly functioning liver! And, for now, enjoy free shipping by entering code HCCSHIPFREE when you check out. In today’s tumultuous world, it’s easy to overwork, overplay, and over stress! When you find yourself caught in the wheel of overdoing things, it’s time to remember self-care! Take a day to unplug and unwind. Let go of those pent-up emotions and the aches and pains that come from holding stress in the body. Block out a day or at least a few hours in your calendar to be sure you honor this commitment to self-care! One of our favorite ways to destress from the hectic holidays is a long, warm, soothing bath with aromatherapy bath salts. Enhanced with the principles of aromatherapy, this time can be a time of self-healing. It will leave you relaxed and ready for what life brings next. There are many aromatherapy-based mineral bath blends available on our websites (visit herbscancleanse.com and our sister site, essentialaromas.co!). Check out the high-quality Aura Cacia products! Or, better yet, do it yourself! Blending bath salts for yourself allows you to control exactly what ingredients are used. Also, making these blends in small batches allows you to change the essential oil blends you use when you want! One of the simplest bases for quality bath salts is 4 parts Epsom salts (helps with those sore muscles! ), 2 parts coarse sea or kosher salt, and 1 part baking soda. This blend will help with sore muscles, soothe eczema, and may also help calm inflammation. Add an essential oil or blend, and you’ve got a bath that heals both physically and emotionally. Mix well and store in an airtight jar. Add ? to ? cup to your bath as the water fills the tub, light a candle and dim the electric lights. Slip into this warm bath and relax! Visit herbscancleanse.com or essentialaromas.co and enjoy free shipping on your orders!